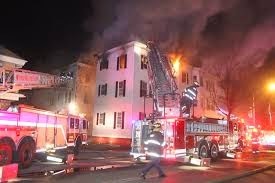 An arson fire gutted the large apartment building on Lewes St in Lynn, MA in March 2013, leaving residents in 25 apartments homeless. 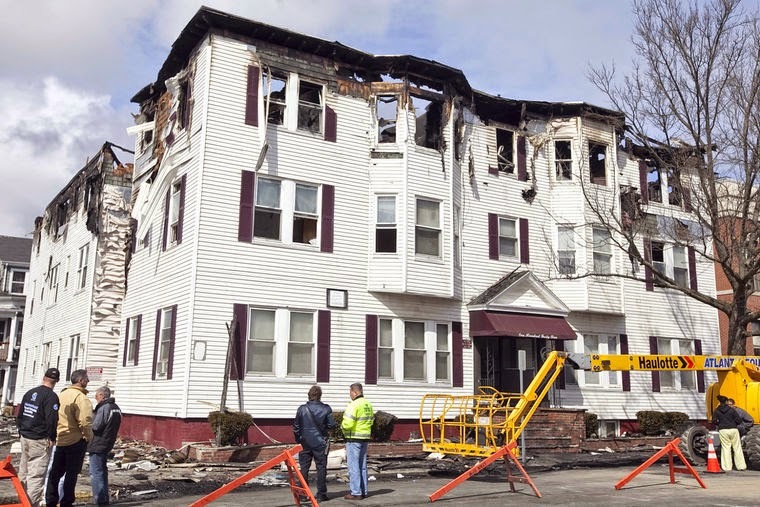 Property owner Andrew Perkins said he made plans after the fire to build on the building site even as he tried to find new housing for displaced tenants. “I placed 20 of the families and helped them get furniture,” he said last week. He made good on his rebuilding commitment by contracting for 145 Lewis’ new concrete foundation and arranged for Avalon Building Systems of Peabody to coordinate construction. Lynn-based Landmark Engineering surveyed the fire site to determine exactly where the new building should be built, and Avalon coordinated with Keiser Homes in Oxford, Maine, to start assembling the building. “Twenty-five units — that’s what we had there — that is what we are putting back,” Perkins said. Each one of the 24 “modular boxes” stacked on the Lewis Street site contains halves of two separate apartments with a hallway section running between the halves. Each box is paired with another to create two full-size apartments complete with bathrooms outfitted with fixtures, front doors and kitchens equipped with cabinets and appliances. Eight boxes will be stacked on each of the three floors with an additional basement unit. Each apartment has 9-foot-high ceilings. Keiser crews started parking the big boxes on Monday with the goal of stacking them in place on Lewis Street by Friday. Crews will bolt the boxes together, erect vinyl outer walls and a slightly-peaked insulated roof while plumbers and electricians do utility work. Prefabricated stairways will round out the building’s common areas. The advantage of a prefabricated building over traditional construction includes avoiding weather delays and quicker assembly methods. Tenants will move into 145 Lewis by year’s end. I thought the old Keiser Homes now went by the name Excel Homes of Maine? Did it come out of the same factory in Oxford, Maine? Excel owns Keiser Homes but they still use the Keiser name. This project was designed and developed by Avalon Building Systems of Stoughton, MA who selected Excel / Keiser of Maine to build the building. Avalon coordinated the design with the architect, the delivery, and performed the set with it's crews and crane. 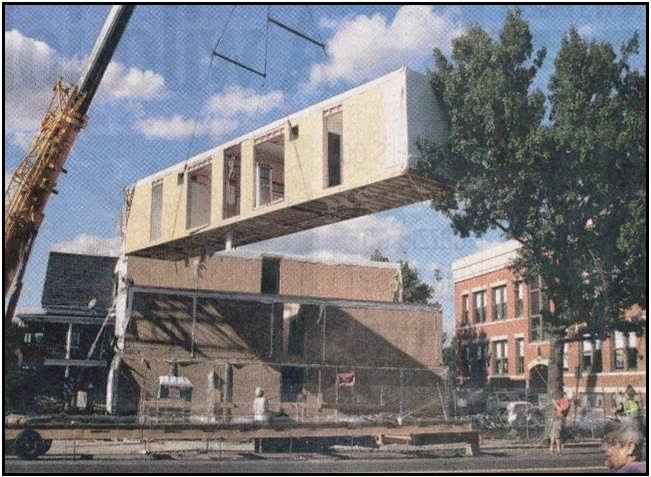 Anyone seeing the irony of having a modular building replace a burned building in MA? Is it a matter time before that Fox news "reporter" and the infamous Fire Marshall return to the "scene of the crime" and complain that modular buildings burn too easily?